Probably North Africa or Morocco, 19th century. 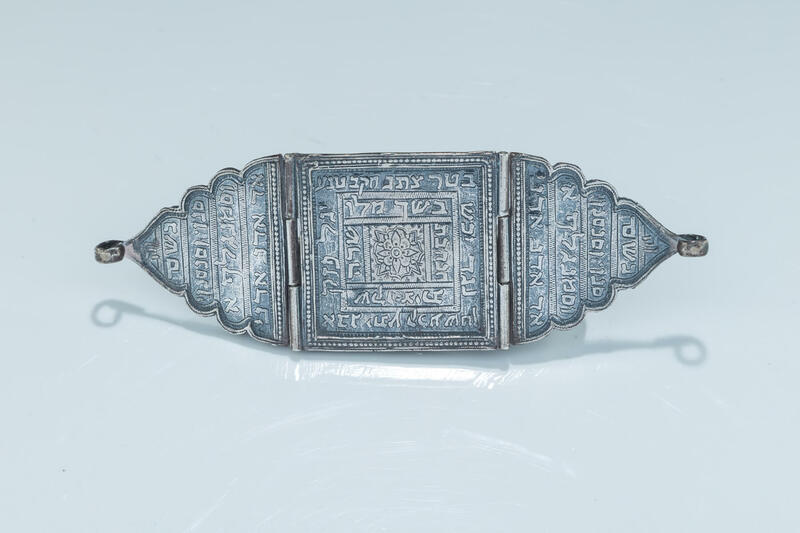 Composed of three pieces of silver, one square and two stylized triangles, all inscribed with hebrew kabbalistic blessings. For use on arm as a bracelet. 5.8” wide.